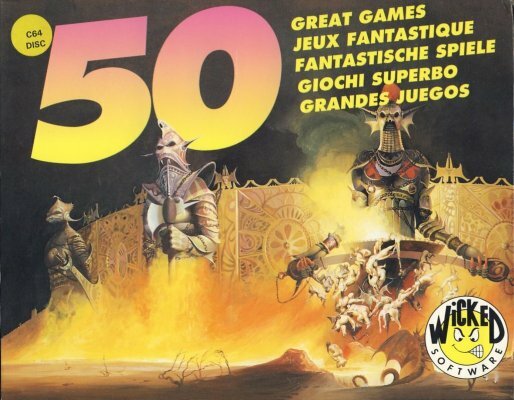 50 Great Games is a computer games collection, which contains exclusively Public Domain titles. The collection was issued by Wicked Software in 1991. 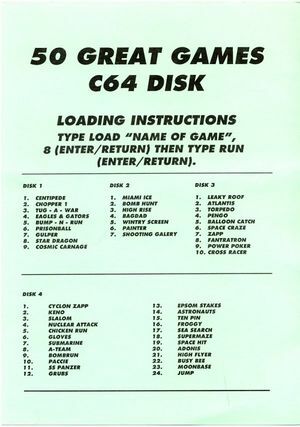 The pack contains 4 disks as well as a sheet of paper with loading instructions and a games list. This page was last modified on 25 October 2008, at 12:40. This page has been accessed 3,441 times.